Originally posted on her father Imtiaz Ali’s Facebook page, the short received a lot of love, likes and millions of views before HumaraMovie acquired it, further propelling it into the spotlight. Nominated for the Jio Filmfare Short Film Awards, Ida Ali’s Lift, drew from all the little things that caught her attention while riding the elevator each day. 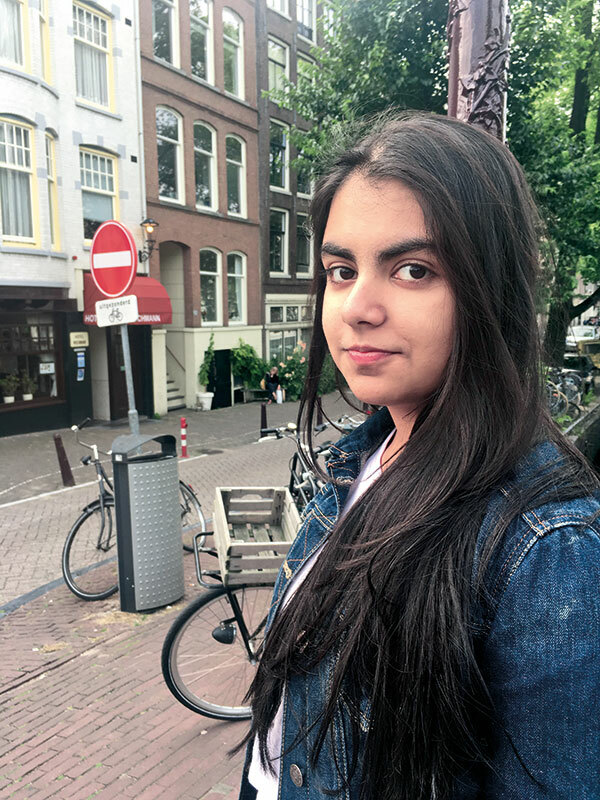 Currently a student at Oberoi International School, she harbours an interest in writing and the performing arts. You, in three words: determined, passionate — and I’m still looking for the third word! The pressures of having parents in the limelight: I do feel that there’s an expectation that people have from me. They expect me to go into the film industry because my parents are in it; so I tried to run away from it. I did not want to be a mediocre version of them. It was only later that I realised my love for stories and for turning my imagination into reality; so, why should I run away from what I think is meant for me just because I am afraid of failure? So yes, people have expectations, and I will try to live up to them, but that is not my agenda; my agenda is to do what makes me happy. The thought that went into Lift: I used to look at people in the lift in my building, and would often notice the little things about them. I soon realised I knew so much about some of my neighbours without even having talked to them. This intrigued me. And then of course the story took its own course. The love received by Lift…is something I’m very grateful for. It provides me with a sense of validity and assures me that I have something to offer and that I am not here only because of my parents. The motto of your life is: if you truly want something, go out there and get it. No one will ever hand it to you on a platter. Success is…when you set a goal and achieve it. The level of the aim or of the reward should not matter. Success is when you achieve what you aimed for. Everything else is just a bonus. A book you loved reading is…the graphic novel Persepolis by Marjane Satrapi. It’s a beautiful tale that ties together a girl’s adolescent years and the story of the Islamic Revolution in Iran. I love reading mythologies, folktales and books which are set in a historic period.